In 2008, the Open Society Institute, in cooperation with Bogazici University, published "Being Different in Turkey: Alienation on the Axis of Religion and Conservatism." 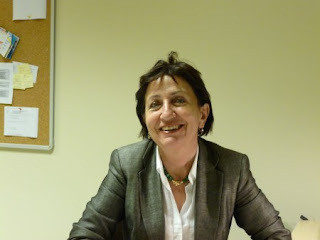 Professor Binnaz Toprak led the polemical study, which instantly garnered criticism throughout the conservative press. Conducting research in 12 Anatolian towns, Professor Toprak and her colleagues documented concrete incidents of "neighborhood pressure," a concept first discussed by Serif Mardin who coined the term to describe the pressure some people in Anatolia experience because they are different. They might be different because they are Alevi or some other religious minority, speak Kurdish, or because they drink alcohol and/or wear an earring and have long hair. The reaction to the report's arguments no doubt stems from their similarity to the argument some secularists/Kemalists make to justify the headscarf ban in universities -- that is, if women are allowed to wear the headscarf in universities, other women will feel pressure to do the same lest they be judged as less moral, religious, etc. However, despite the similarity, the report delved deeper, examining the toleration of difference in the 12 Anatolian towns it explores. I allude to the study now because the debate has once again appeared -- this time on a new blog, Changing Turkey in a Changing World -- and because the exchange is just as relevant now as it was in December 2008. Professor Ahmet Kuru, who is currently at Columbia University's School of International Public Affairs (SIPA), posted a criticism of the report, to which Toprak responds by reiterating many of the arguments she made defending it when it was published a little over one year ago. Also worth reading is a recent interview Toprak conducted with John Feffer of Washington's Institute for Policy Studies' (IPS) Balkans Project. In the interview, Toprak discusses growing conservative attitudes and the headscarf issue. Speaking to reporters in Şanlıurfa on Wednesday, Ağırbaş said the company aims to expand the beer market in Turkey, but the number of sales points has diminished to around 83,000 from nearly 100,000 four years ago. Thanks for this article, but l wish the report analysed to the other side,too.Namely instead of suspacions on neighborhood pressure,we were able to understand to each other as objective.Yes,unluckily there are somebody who don't tolerate to the difference attitudes, but we can't forget this is in effect for every two sides,too.Honestly,l try to understand to people who don't wear headscarf.Why are they cocerned for their future though they are more free besides covered people? Honestly l can say that nobody has a wiew to change to the others attitudes ,and also can't be.l would like to signify a reality that one of side has just been concerned and the other side has suffered by practical bans.Do you think that it is quite fear? Must one person's freedom limit to the another person's freedom? People seem to be objecting to Toprak's study mainly on the basis that it was attempted at all. This in itself might be revealing how warped the discourse has become. I had read the report when it came out and now I've looked around some more to see what people wrote about it. I now think the reaction it provoked might be worth studying itself. I'd be fun and perhaps not altogether inappropriate to further abuse the 'neighbourhood pressure' term and apply it to the suffocating environment created by columnists and academics that led Toprak to feel the need to say "I would be the last person to be accused of being insensitive to the plight of covered women." If my memory is not fooling me, Toprak had addressed the "two main criticisms" of Ahmet Toprak's at the time she published her report. One has to be blind and deaf to cover and twist hard truths.